Through the Million Pollinator Garden Challenge and Let’s Move! Museums & Gardens initiatives, public gardens move millions of individuals, kids, and families outdoors and make a connection between pollinators and the healthy food people eat. 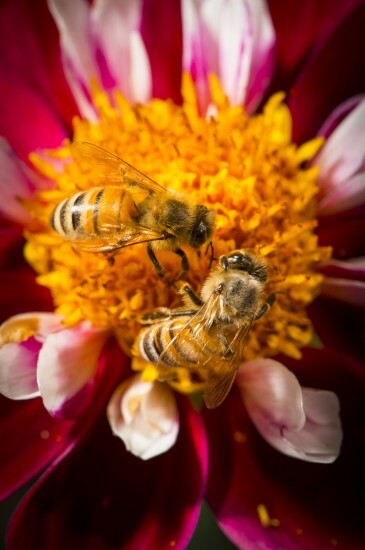 Pollinators are responsible for 1 out of 3 bites of food we take each day, and yet pollinators are at a critical point in their own survival. Many factors contribute to their recent decline. We know for certain, however, that more nectar and pollen sources provided by more flowering plants and trees will help improve their health and numbers. Increasing the number of pollinator-friendly gardens and landscapes will help revive the health of bees, butterflies, birds, bats, and other pollinators across the country. Denver Botanic Gardens demonstrate pollinator-friendly habitats. The National Pollinator Garden Network (NPGN) is an unprecedented collaboration of 26 national and regional conservation and gardening organizations in support of the President’s executive strategy to “Promote the Health of Honey Bees and Other Pollinators.” The Network recently launched The Million Pollinator Garden Challenge to mobilize America’s extensive gardening community and support them in making more native and non-invasive pollen and nectar producing plants available in their gardens. Children learn about pollinators at the United States Botanic Garden. Now that over 500 pollinator habitats at public gardens have been counted on the Million Pollinator Garden Challenge S.H.A.R.E. map, it is easy to find nearby resources, see examples of pollinator-friendly gardens, and learn about growing and preparing healthful food through programs at your local public garden. Myriad Gardens Foundation in Oklahoma City has installed two new pollinator gardens just this year–one is a Prairie Garden with native plants especially selected for bees, butterflies, and birds, and the other was planted in the Children’s Garden. Find out what your closest public garden has to offer!